Two firms in Wales are hoping they can help offer new hi-tech solutions to tackle the costly problem of bedsores. Treating wounds caused by issues such as pressure ulcers costs the Welsh NHS 10% of its annual budget - £600m. Across the UK the bill is about £4bn. But one Wrexham-based mattress company says it has devised a system that can move a patient every 10 minutes, to reduce the risks. 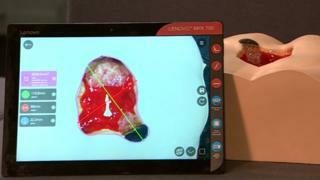 Another development is using 3D cameras to measure and monitor wounds. 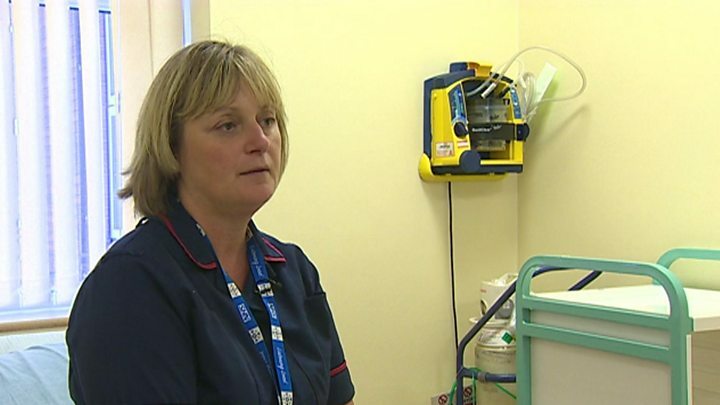 "You can never underestimate the patient experience with pressure ulcers," said Paula Lawrence, a specialist nurse at Betsi Cadwaladr University Health Board. "It impacts severely on their quality of life - often leading to patients feeling isolated, embarrassed, and there is a considerable economic hardship associated with the development of pressure ulcers." She said the estimated cost of dealing with a patient with a bedsore can be anything from £1,200 up to as much £14,000, depending on the severity of the ulcer. According to health experts, it can take as little as two hours for an immobile patient to develop a pressure sore in bed. But the firm Cloudcair hopes its latest development can put an end to the problem, with a mattress that changes position constantly. The company claims it is the world's first smart pressure care mattress system. "The main innovation is that it is internet connected, which means we can remotely diagnose the bed as it is under the patient, and remote alarm," said Cloudcair's Jeremy Jones. "The unit will send that message directly to the response centre either at the hospital or to a third party. "That saves a lot of discomfort and a lot of nursing time, and allows us to control the system a lot better." A 3D camera from firm GPC, based at Swansea University's Institute of Life Sciences, has also been adopted by health care services in Taiwan and Australia. Huw Morgan said it used lower-cost consumer level cameras that could accurately measure and monitor wound depths. He said the information was key to helping doctors and nurses ensure the patient is healing correctly. "It it well known, for example, that if you accurately monitor and measure a wound then that will have beneficial effects on the outcome and potential reduce the time," he said. "Every clinician that we talk to - every nurse, every doctor - they get it straight away. We've had extremely positive feedback."